Containment includes a number of technical measures to protect processes against inadmissible, harmful leakage. Dedusting filter technology plays an important and complex intermediate part in reaching these protection objectives. The dedusting of plants and processes in the pharmaceutical industry has particularly exacting requirements: Maximum filtration performance protects against dust residue, and filter systems and their handling are usually subject to dust-tight containment. Hygiene and safety in pharmaceutical production constitute the most demanding challenges for dedusting filter technology. Dust can lead to contamination, health threats or an increased risk of explosion. The question of how to treat toxic dusts in occupational hygiene is growing increasingly important. With dedusting filter systems in containment designs suppliers encounter a special need for protection. 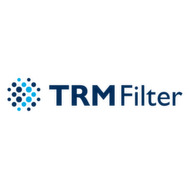 TRM Filter, a Slovenian specialist for dust removal systems, developed explosion pressure resistant filter systems available in proven scaled containment versions and are upgradeable during their entire life cycle within the scope of containment.